After facing harsh criticism from Chinese media, Apple has removed tens of thousands of illegal lottery apps from the local App Store. App revealed in a statement that they would be taking vigilant efforts and comply with the local regulations that prevent gambling. Upon request of Chinese officials, Apple removed VPN apps from the local App Store in China last year as well. As a response to criticism from state media and ever-tightening regulations in China, Apple has removed over 25,000 illegal lottery apps from the App Store. Chinese broadcaster CCTV harshly criticized Apple giant for allowing gambling apps in the local App Store, and it was not the first time the media house targeted the company. CCTV also criticized the company for not monitoring the iMessage activity of its users which caused a massive hindrance to Chinese officials. Apple chose not to reveal the names of the apps that have been removed or the timeline of the ban wave. Local media sources believe that around 25,000 apps were taken down. Other app stores that offer gambling apps locally from Baidu Inc and Tencent Holdings Ltd are also banned. With China increasing its digital surveillance activity on its citizens, it has led users of online services to fear for their privacy and human rights. 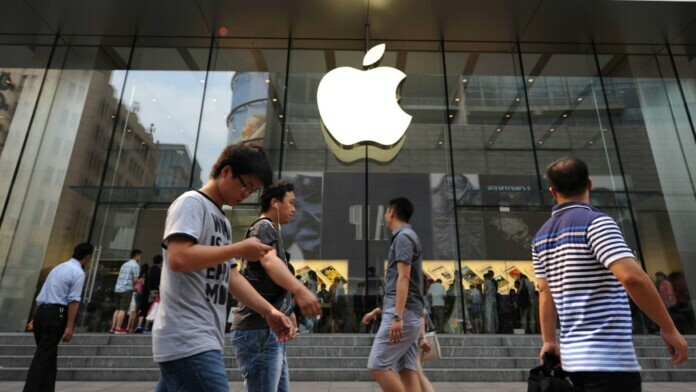 It is definitely difficult for companies like Apple to continue operating in China while following a number of guidelines. Last year, the tech giant was forced to remove several VPN apps from the App Store to abide by regulations. The Cupertino tech giant is the only major foreign app platform available in China with Google’s Play Store being banned in the country. What do you think about the removal of gambling apps from the App Store in China? Let us know in the comments below. Also, to get instant tech updates, follow TechNadu’s Facebook page, and Twitter handle.